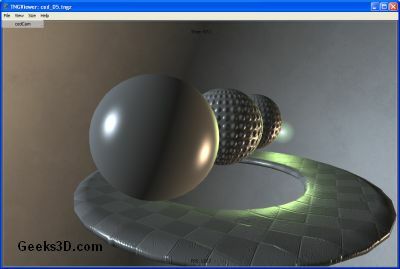 TNGViewer is a standalone application for real time 3D interactive presentations in TNG 3D scene format. Among the features of TNGViewer, there are: OpenGL rendering, opening both local and remote TNG 3D scenes, loading FBX, 3DS, OBJ, DXF, DAE, LWO and LWS scenes and saving movies and images of live presentations. There is also a TNGPlayer Plugin for all major web browsers. You can download TNGViewer 1.0.0.456 from THIS PAGE. TNGViewer now features a preferences option (available either in the Apple or Help menus), which displays a tabbed modal dialog providing access to all user-configurable settings. The General tab contains a new option, which specifies the action to be taken at startup (none, Top Scenes, open file, open URL); the tab also contains an option for the quantity of items in Top Scenes (small, medium, large). The Autodesk and LightWave tabs contain import options for the relevant model/scene importers. @ JeGX: Thank you, Jerome, for posting the update. @ JeGX: We have posted a major update to TNGViewer (now at version 1.1.0.470), featuring support for multiple independent windows. The update is available at the usual location: the version history contains all the details. I hope you enjoy this release: we are posting news about its deployment on Geeks3D first.